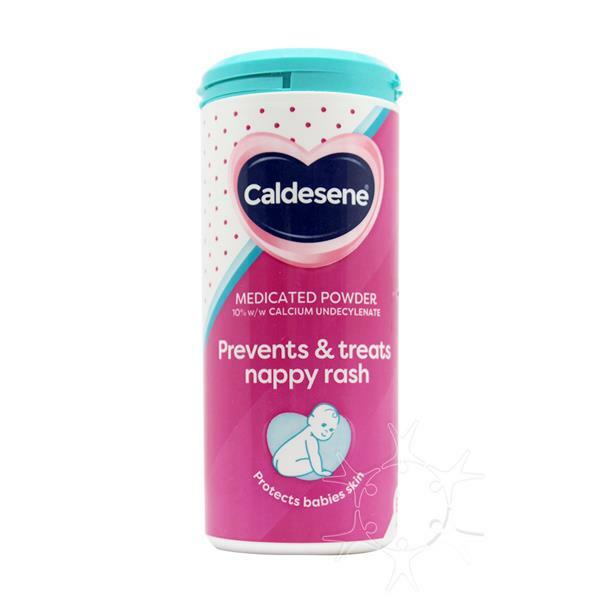 Caldesene Medicated Powder prevents and treats nappy rash and can also be used on sensitive adult skin. The product is also used for cutaneous use. Caldesene is a medicated powder for the prevention and treatment of nappy rash in babies, prickly heat and chafing. Protect against skin irritation and body odour caused by common bacteria and fungi especially in delicate skin folds. Do not use this product if you have a known sensitivity to the ingredients. The perfume in Caldesene contains benzyl benzoate which may cause mild irritation of the skin, eyes and mucous membranes.